For Enhanced Flavor, Microwave 3 Seconds. *Remove Cookie From Packaging Before Microwaving. Now this one works out better!! 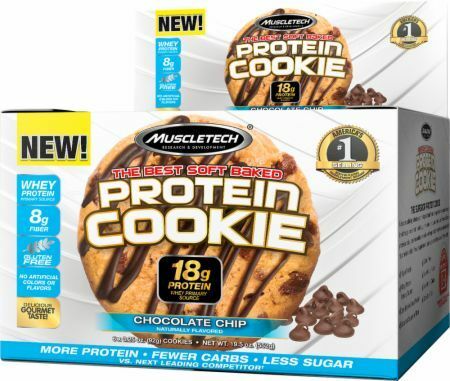 MuscleTech Protein Cookies are soft baked for a wholesome and delicious snack with best-in-class taste and texture, and deliver no inferior wheat protein – so you can rest assured you're getting the best quality protein available! Chocolate, chocolate and more chocolate! These rich, delicious, intensely chocolaty cookies are just the thing when you want a chocolate fix but don't want to load up on calories and sugar!